This beautiful frosted pillar candle from Ruddick Garden Gifts is available in three colours, white, heather or blue. 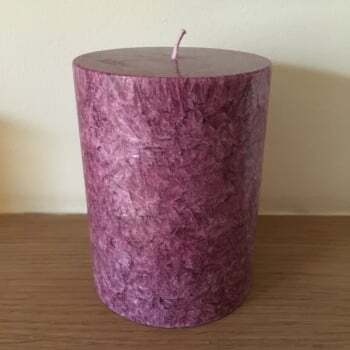 This small pillar candle has been made from 100% natural palm wax and is hand poured providing a high quality candle with a clean, smokeless and virtually drip free burn. Each candle has solid colour wax throughout and a pure cotton wick. Burn time of approximately 42 hours.